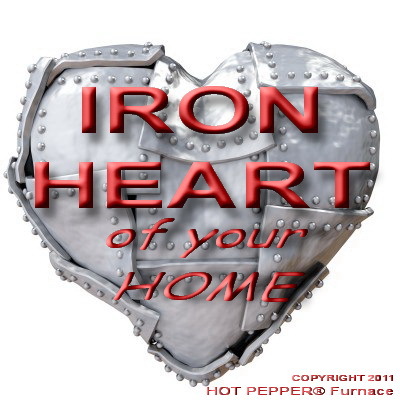 Furnace - The Iron Heart of your HOME. As always in Calgary together with a Halloween came along those first frosty nights. This arrival surely increased the workload of the iron heart in every home – its mighty Furnace. And just like a prepared and fully assessed athlete before Olympics, your furnace must also be in good working shape, ready to work around the clock throughout our long-lasting winter. It should be noted that the furnace has to work with double the anguish on the motor when the entire duct heating system is clogged with dust and other household waste, which inevitably gets there throughout the year. We hope there is no doubt about the fact that any air duct system accumulates harmful dust and dirt, which in turn promotes the formation and spread of harmful micro-particles and bacterial viruses. It has been said many times before and we will say it again: regular furnace maintenance and duct cleaning of the entire heating system greatly improves the main air flow through the house. This inevitably helps to increase the life of your furnace with its more energy-efficient operation that reduces your gas bills by up to 15%. Another important aspect is that regular furnace cleaning also helps to reduce the amount of times we get those nasty seasonal colds and viruses that every new winter season often brings. And that’s no surprise since we do get to breathe the same air that constantly circulates throughout the house. So besides boosting our immune systems with various health products and vitamins - the best preventive measures to improve indoor air and prevent many diseases of the upper respiratory tract including asthma and bronchitis, especially in children and elderly - is having to do the regular furnace and duct cleaning every 2 years. Take care of the iron heart in your home - it will pay you back with reliable service and fewer unexpected and costly breakdowns.